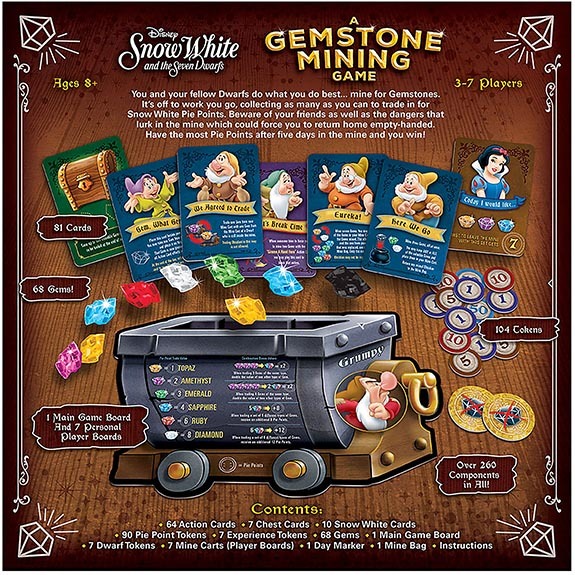 Players press their luck as they go mining for seven types of gemstones in a brand new board game featuring Walt Disney’s Snow White and the Seven Dwarfs. 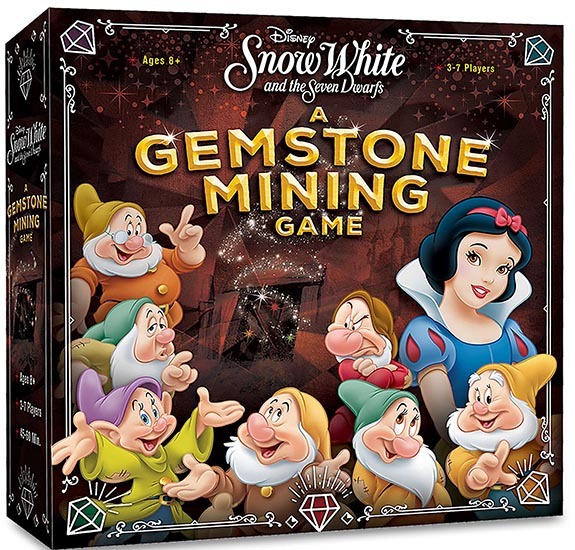 In the game, each player takes on the role of one of the Seven Dwarfs. 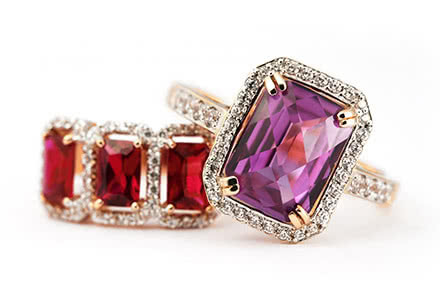 During the day, they work tirelessly to provide Snow White with a beautiful assortment of precious gemstones. 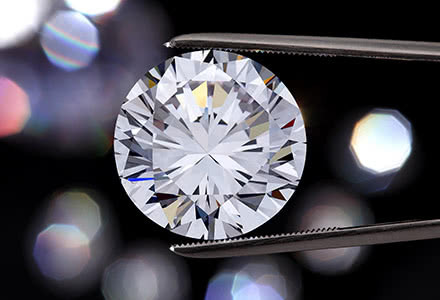 Valuable “pie” points are earned by mining specific combinations of topaz, amethyst, emerald, sapphire, ruby and diamond, but players must watch out for the dreaded obsidian, a black gem worth zero points. 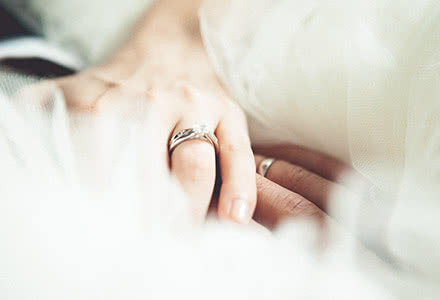 Collect two of these whammies and the player has to leave the mine and go home empty-handed. 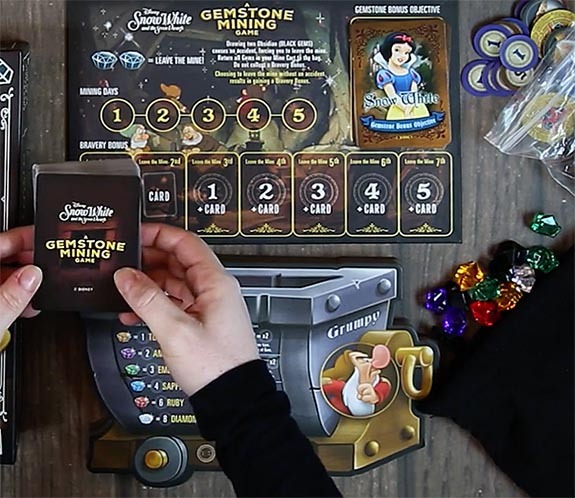 “Disney Snow White and the Seven Dwarfs: A Gemstone Mining Game” generally takes less than 60 minutes to complete and is recommended for players 8 and older. 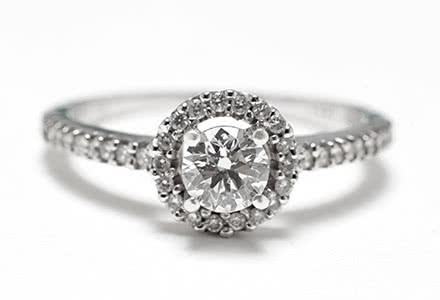 It is based on the board game “Quartz” and was designed by Sergio Halaban and André Zatz.